Aiming to make Early Years management ideas easy to grasp, this series breaks down the jargon and provides accessible practical advice. As the role of a manager in Early Years becomes ever more complex and demanding, leaders must try to adapt and respond to the different pressures that constantly bombard them. 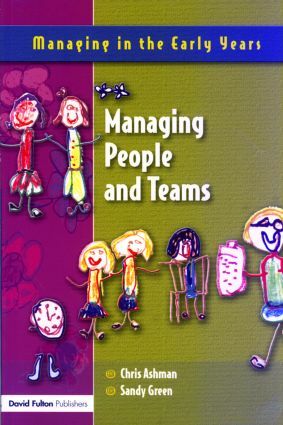 Managing People and Teams in the Early Years Sector: An activity-based book helps managers and aspiring managers to explore a range of ideas and approaches to aid continued development in management skills and leadership and combat those pressures. This fully updated second edition is essential reading for those new to management or looking to develop their career into a managerial role and students working towards level 3 qualifications or a Foundation Degree.